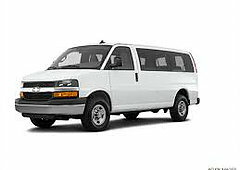 Rent Our 8, 11, 12, 15 Passenger Vans at LAX. Quick and Free Shuttle to and from Los Angeles International Airport. 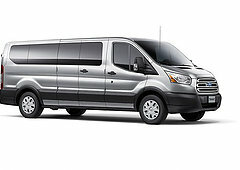 Unlimited Miles* Included in Most Van Rentals at LAX. From the dropoff to the pickup, it was seamless. The agents had tablets to check me in, and out, so I never waited in any line, I was picked up from the airport on-time and was off in the van to pickup the rest of my party in less than 30 minutes after arriving. Awesome company to work with. Thanks again. Super easy pickup and dropoff. Details were clear before booking on where to go from what terminal, it was easy. I would book again once we do another bachelor party in Los Angeles again! Company retreat in Los Angeles. Had a booking that needed to be changed last minute, and it was not a problem for them to do. Thanks again for the van and all the help along the way! Valid drivers license issue in your state or country is acceptable as well as international licenses. You have to be at least 21 years of age. ? Can I use another person's credit card for renting a vehicle? Yes, but the cardholder must be present themselves and present valid ID and sign the rental agreement. If they cannot be present and authorization form is required. Yes, the deposit is based on the vehicle typy and us usually between $250 and $500 depending on the length of the rental. 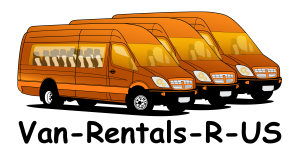 We have 15 passenger vans, 11 passenger vans, 12 passenger vans, 8 passenger full size vans, 7 passenger mini vans, and cargo vans. Do you have automatic and stick shift cars? Do your cars have air conditioning? Yes, all of our vehicles have air conditioning. Do you rent vehicles by the hour? Yes we do but with a four hour minimum. Do you offer accessories with your vehicles? We do have accessories that can be rented with the vehicles such as child seats and GPS systems. Yes, additional charges apply when the vehicle is rented by more than on person. Spouses are not subject to additional charges. Are there additional charges for fuel? Fuel level must be the same as at the time of rental. If not you will be charged a per gallon charge for any amount less than at time of rental. Yes, it applies to any customer between the ages of 21 and 24. Are there any mileage charges? Yes, vans come with 150 free miles per day and the additional mileage charge is based on the type of van you rent and is noted in the vehicle description. Do you have unlimited mileage? In most cases no but in the event an unlimited mileage rate is negotiated it will be restricted to travel within California and bordering states.? You have 48 hours prior to rental date to cancel. Any Cancellation made after this period or no shows are subject to charge plus any other applicable fees. If you have a flight leaving during our closed hours, we do offer a drop off service. Let us know in advance for instructions on where to leave your vehicle. 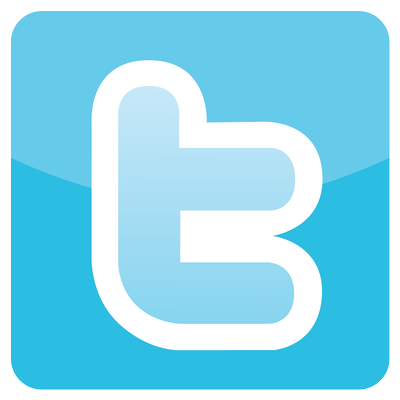 We do ffer AAA, travel agency, and airport employee discounts. 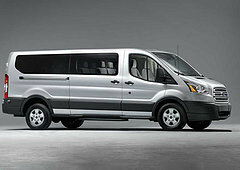 We also at various times have printable coupons for discounts on vans for rent. Please print these coupons when they are available and bring with you during check-in. Coming Soon in 2018 - Phoenix, San Diego, San Francisco, Orange County (2018) Expanding Our Locations!